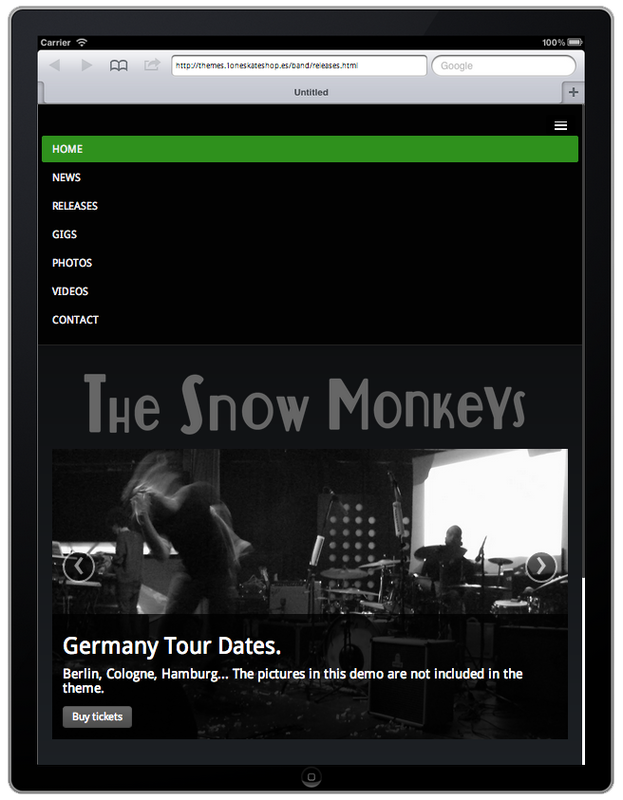 Independent Band is an HTML5 Responsive Retina Ready Template specially designed for music Bands. Simple & Clean. Responsive Design. HTML5 & CSS3. Bootstrap based. Single Page Website. Smooth scrolling. Dark Theme with 3 pre made color variations: green, blue and pink. Easy to change another desired color. Images in the demo are for demonstration purposes only and are not included in theme package.